Ansouis is a small village in the Luberon region of Provence, to the east of Lourmarin and north of Pertuis and Aix-en-Provence. 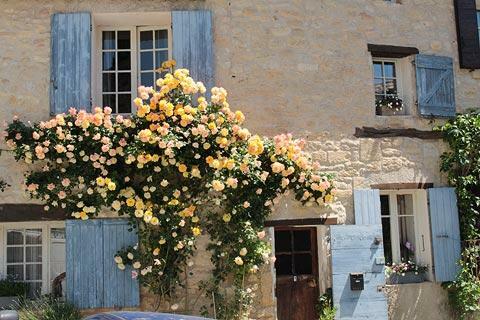 The village is listed as one of the most beautiful villages in France. France This Way comment: there are numerous pretty villages in the Luberon, and although Ansouis is one of the least visited we also found it to be one of the most attractive: the quiet streets are an added bonus for visitors who venture here after visiting villages such as Lourmarin and Gordes! 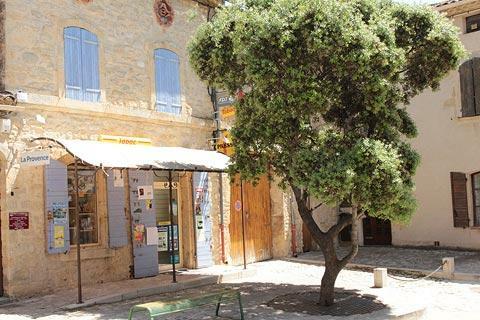 There is a large car park from where the historic centre of Ansouis is easily reached and which is free to use - unlike many of the villages in the region where you pay to park a considerable distance from the village centre! 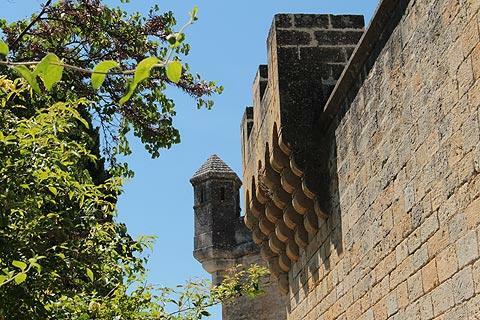 As soon as you enter the centre of Ansouis you come across many features, such as the traditional washhouse and a small ornate fountain, intricate doorways and curious stone ornamentations. The one thing you will not find is lots of shops and cafes: there is a small shop and one cafe near the entrance to the village but otherwise very few commerces. 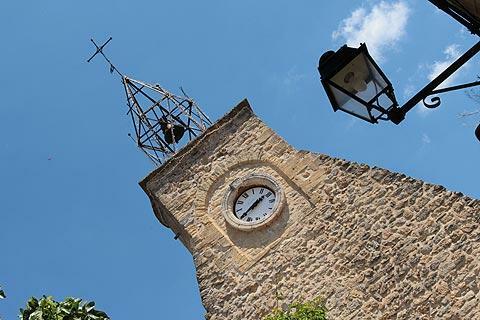 As you walk up through the village you will pass a decorative campanile on top of a clocktower to reach the ancient Church of Saint-Martin. 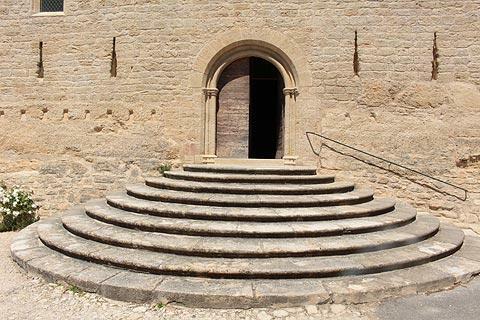 Dating from the 13th century, the church is entered via an imposing series of semi-circular steps and the inside holds some interesting furnishings. 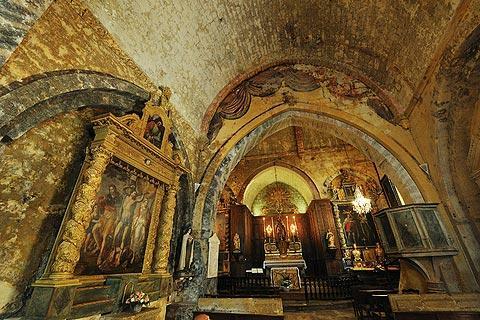 The walls inside the church retain a lot of their original decorative painting, including a painted curtain between the nave and the altar: although the paint is now in quite a poor condition it adds a great deal to the charm of the church. 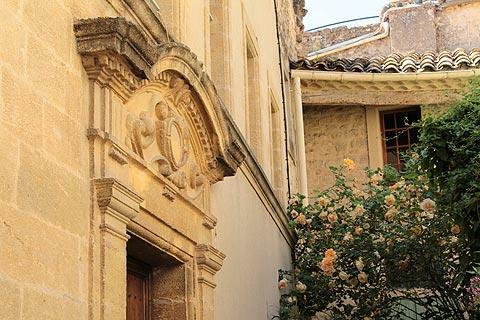 There is also a small museum to visit on the edge of Ansouis, with an eclectic mix of objects ranging from large scale statues of sealife to examples of stained glass: see the Extraordinary Museum of Georges Mazoyer for details. 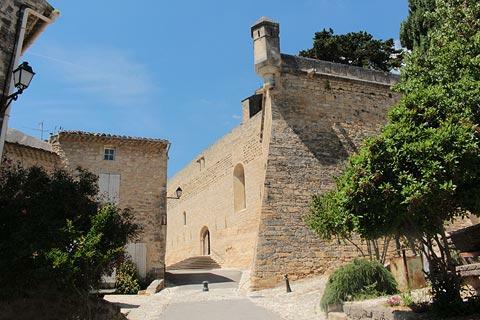 The castle, the Chateau d'Ansouis, stands above the village on top of the hill and is open for visits. It dominates the views of Ansouis and is the most important historic monument here. 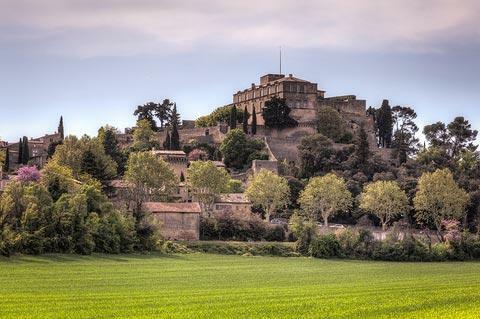 The castle dates originally from the 10th century although it has been modified many times since, principally because the original defensive role was lost (originally the castle protected the road between Aix-en Provence and Apt). Much of the castle we see today including the main facade to the south dates from the 17th century, as do the furnishings and tapestries that furnish the interior, although significant parts of the earlier fortified castle can still be seen as well: so during your visit you will notice that some parts of the chateau are medieval in style and other parts renaissance in style. 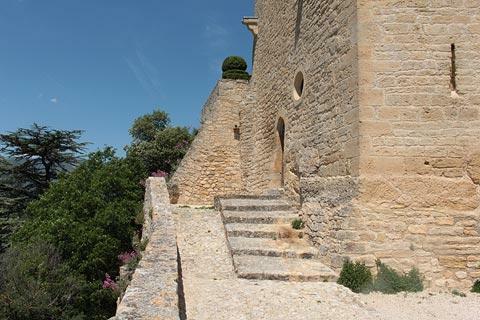 The typically 'French style' Provencal gardens and terraces around the outside are very attractive, while the views from the terrace across the surrounding countryside are also exceptional. 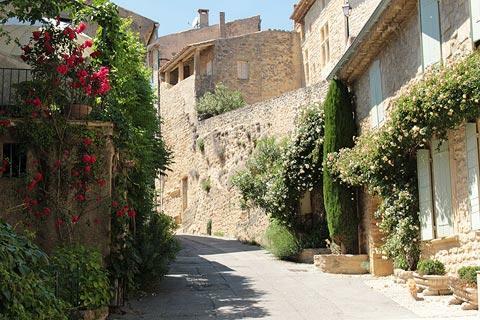 Ansouis is one of the less well known of the Luberon villages, which include several of the most visited (and most beautiful!) 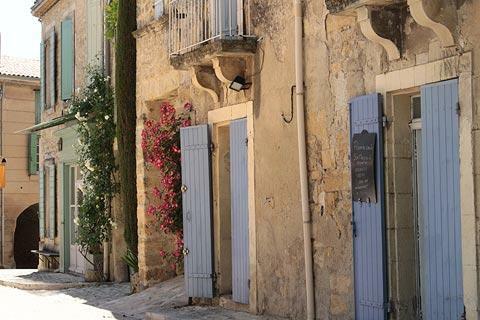 villages in France, and about 35 kilometres from the famous villages of the region such as Menerbes and Gordes. 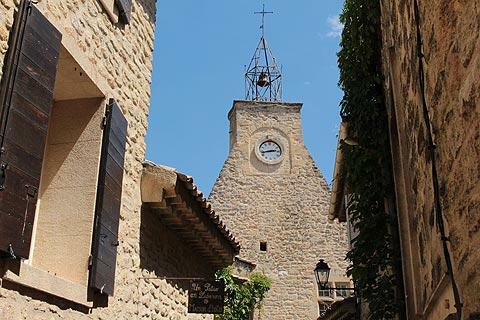 The village and castle at Lourmarin is also close by and a pleasure to explore, and a larger town to visit here is Pertuis. 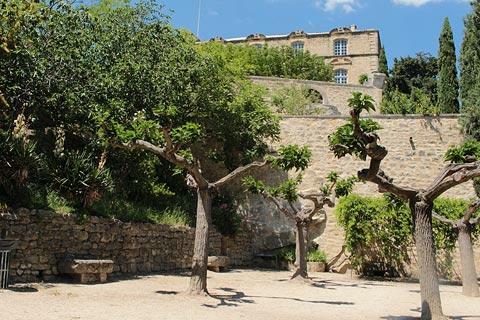 See the Luberon guide for details of the many attractions of the region.